Clone plant cuttings to generate an exact duplicate of the stock plant. Stem cuttings taken from most plants root quickly with the use of a rooting hormone. Within a few weeks, you can add more plants to the landscape with very little expense. Remember to take several cuttings at one time for a better success rate. 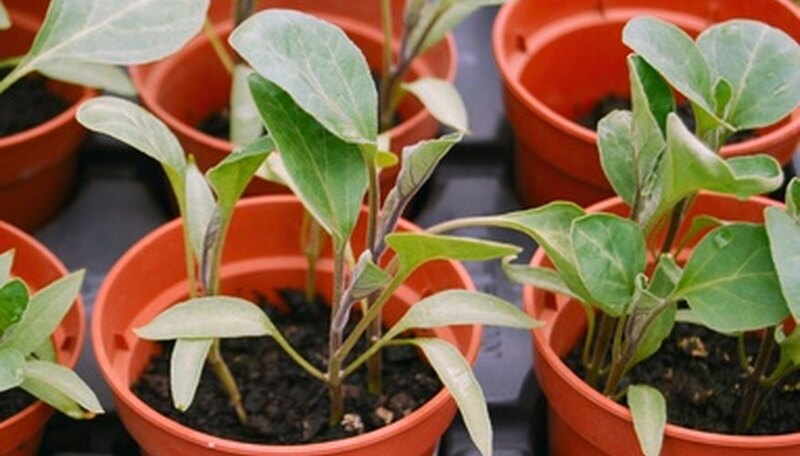 Select a healthy stock plant from which to take the plant cuttings. In the early spring or late fall, clip 6-to-8-inch sections from the stems of the plant. Remove the bottom leaves from the stem, exposing 3 to 4 inches at the bottom of the stem. 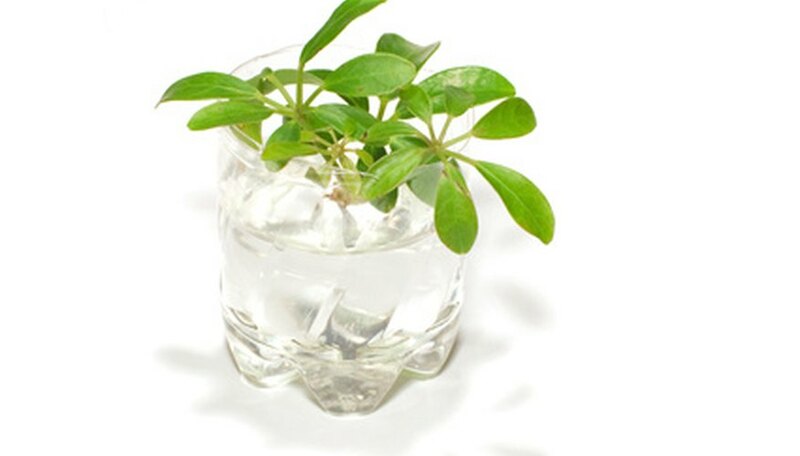 Place the cuttings in water until planting. Wet the potting soil with warm water and mix well to eliminate any dry spots in the soil. Do not over-saturate the soil but keep it the consistency of a damp sponge. Fill the growing tray with the moistened potting soil. Stick your index finger into the soil to create holes for the cuttings. Pour 1 to 2 tbsp. of rooting hormone onto a paper plate or in a sandwich bag. Dip the cuttings into the rooting hormone to coat the bottom 3 inches of the stem. Shake off any excess powder. Stick the stem cuttings into the holes of the soil and gently firm the soil around the cuttings. Cover the growing tray with clear plastic wrap or a plastic bag. Place wooden skewers along the outer edge of the growing tray to keep the plastic off the plant cuttings. Seal the plastic to create a greenhouse effect for the cuttings. Place the stem cuttings in a bright location but not directly in the sun. The heat from the sunlight will kill the cuttings. Ventilate the growing tray daily by removing the plastic for an hour or two. Seal the plastic back after ventilation. Wait 4 to 6 weeks to check for root growth. Gently tug on the leaves of the cuttings to feel for resistance. When you feel resistance when pulling, the cuttings have started rooting. Remove the plastic and continue growing for another week. Transplant the rooted cuttings into separate containers to finish growing out to the desired size. Treat the new plant as a tender seedling by hardening the plant off, or gradually introducing the plant to the outdoors. Once acclimated, plant it in the desired location. During cold weather, place the growing tray on a heat mat to provide a warm temperature. Remove any cuttings that show signs of mold as this will spread quickly and kill the other cuttings.